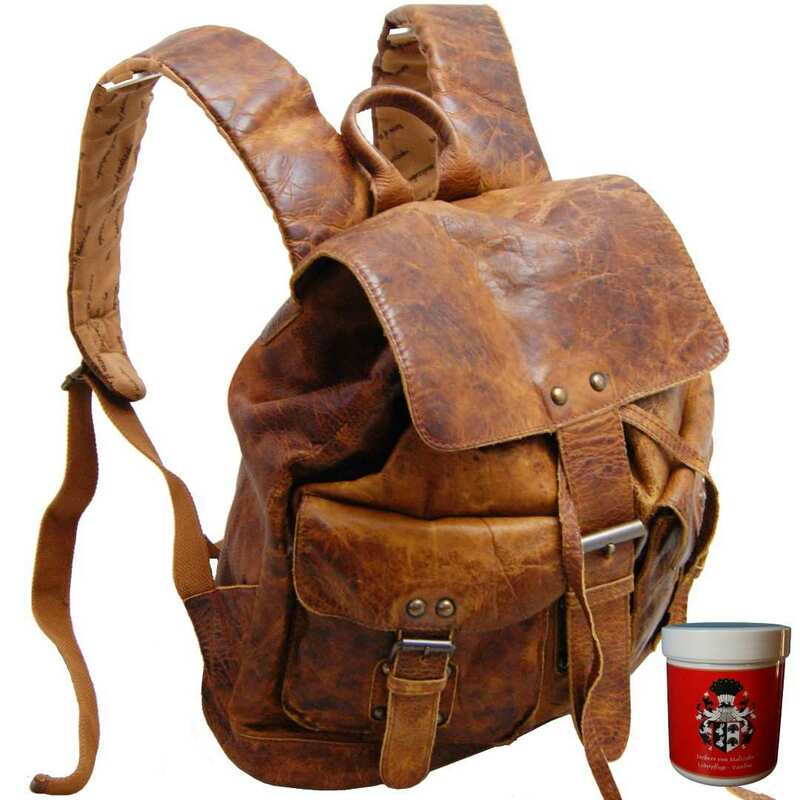 Product information "Backpack JALDA of brown rugged-hide leather"
This spacious brown backpack JALDA made of rugged-hide leather does not only look good, but also offers enough storage room for everything you need on the go. Sometimes, active women choose a practical backpack instead of a smaller handbag. They should find enough space to store all items they need on route and feel comfortable by carrying it. Our ladies backpack of brown rugged-hide leather is the perfect article for you, if you feel like this! Thanks to its extra wide, padded shoulder straps, this rucksack can be carried comfortably and casually over the shoulders even for a long time! Feel very well prepared for every occasion with the leather ladies backpack. This casual city bag made of sturdy bovine leather has undergone a very special and high grade manufacturing process. Furthermore, it offers lots of space for mobile phone, makeup, keys and Co. and therefore, it is perfect for the everyday use. The total size of the city bag is 13.8 x 13 x 6.3 in (35x33x16 cm). The sporty city bag is provided with a protective inner cotton lining. On the inside you will find a big main compartment, an extra zippered section and an organizer for a smartphone. The backpack can be safely closed simply by using the lock attached to its flap. On the outside you can find two compact front pockets with magnetic closures. The shoulder stripes are nicely padded and can be adjusted to your size or preference. 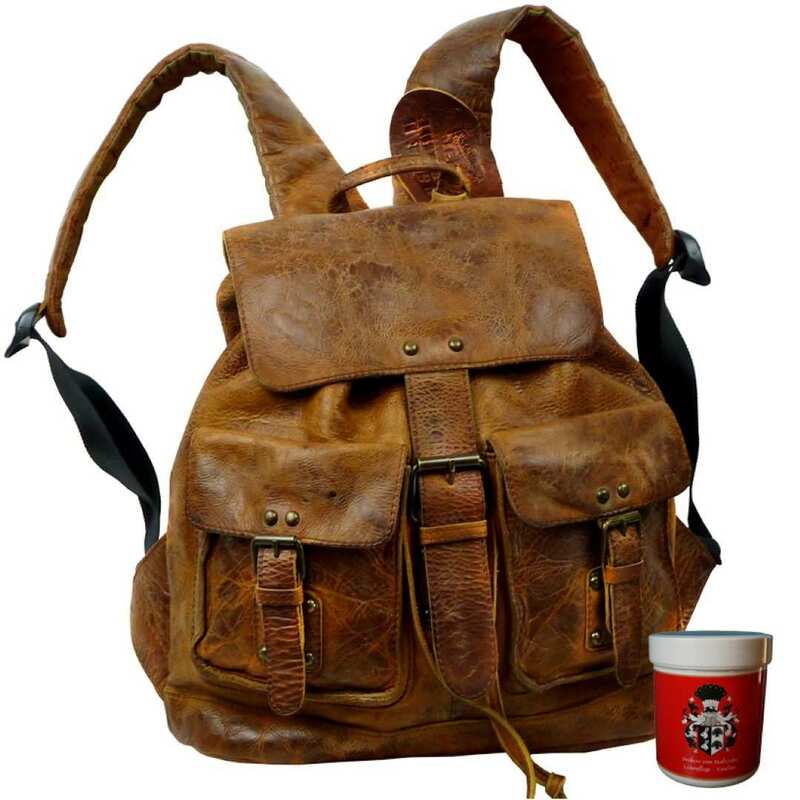 The rugged-hide leather used to manufacture this backpack is rubbed with wax by hand. Afterwards, the cowhide is tumbled in a leather drum for two hours, what gives the backpack its nice old-used look. 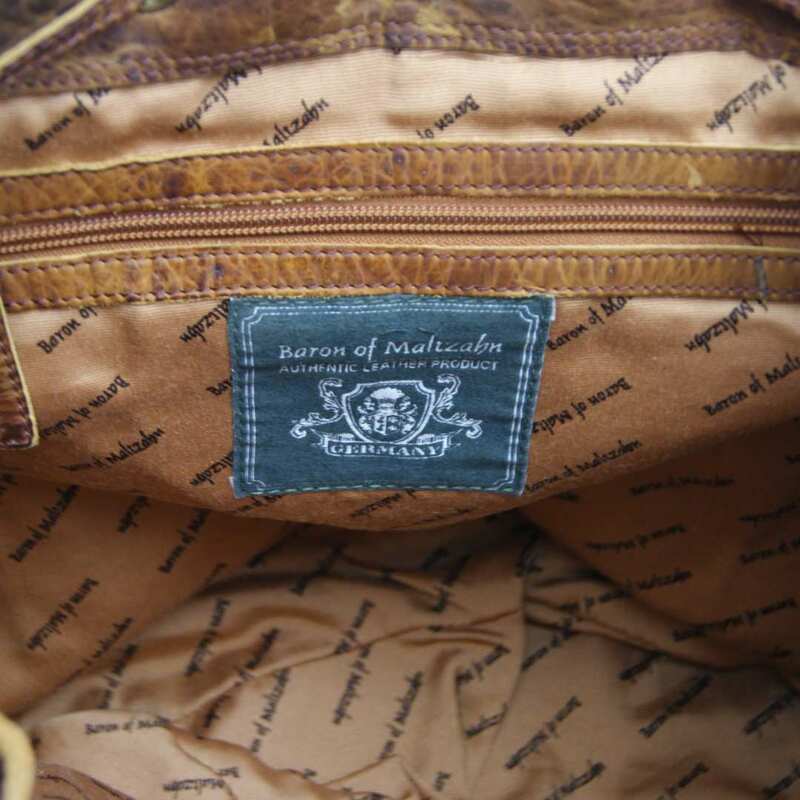 For this reason, each model of the rugged-hide Collection of the designer BARON of MALTZAHN has a unique appearance and cannot be imitated or copied. Do not miss this opportunity! Order now your new backpack made of brown rugged-hide leather! Reviews for "Backpack JALDA of brown rugged-hide leather"